Ministers will again battle to win over MPs to Theresa May's Brexit deal later, a day after the government suffered three defeats on key votes. Security will be the focus of the second of five days of debate in the Commons, where Tuesday's marathon session extended into the early hours. Crucially, MPs backed calls to give them a direct say in what happens if Mrs May's deal is rejected next week. A former Tory chief whip has told the BBC he expects the PM to lose the vote. Mark Harper, who backed Remain in the referendum, said he would vote against the withdrawal agreement, and predicted the deal would be rejected by 80 of his party colleagues. The deal has been endorsed by EU leaders but must also be backed by the UK Parliament if it is to come into force. MPs will decide whether to reject or accept it next Tuesday, 11 December. However, Mr Harper urged the prime minister to renegotiate the deal, insisting the current plan would leave the UK worse off. Ministers will plough on with attempts to win over MPs on Wednesday, with eight hours of debate on the security and immigration aspects of the withdrawal agreement. Meanwhile, Mrs May is expected to continue trying to convince small groups of her MPs to back the plan in private meetings. "I promise you today that this is the very best deal for the British people and I ask you to back it in the best interest of our constituents and our country," she told the Commons on Tuesday. 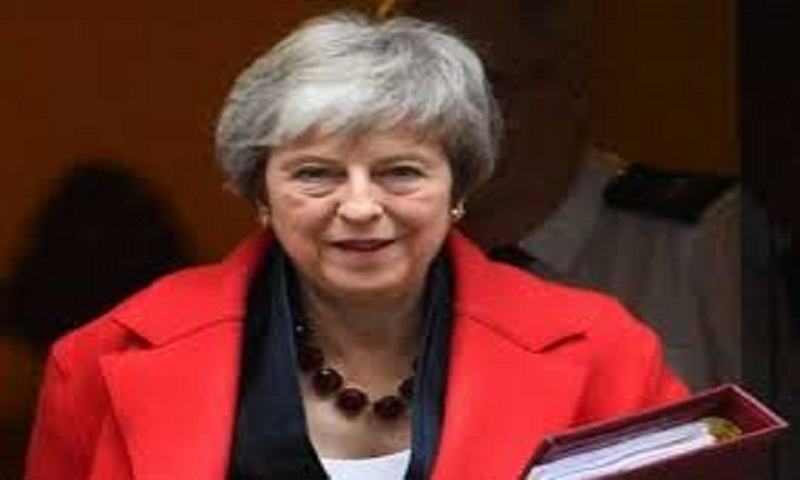 The PM spoke after a torrid afternoon which saw her government ruled in contempt of Parliament for failing to comply with a binding vote demanding the publication in full of legal advice it had received before agreeing the Brexit deal. How did the PM try to win over MPs? When she finally kicked off the debate about the deal itself, Mrs May insisted the UK would enjoy a "better future" outside the EU.